Ahhhh. 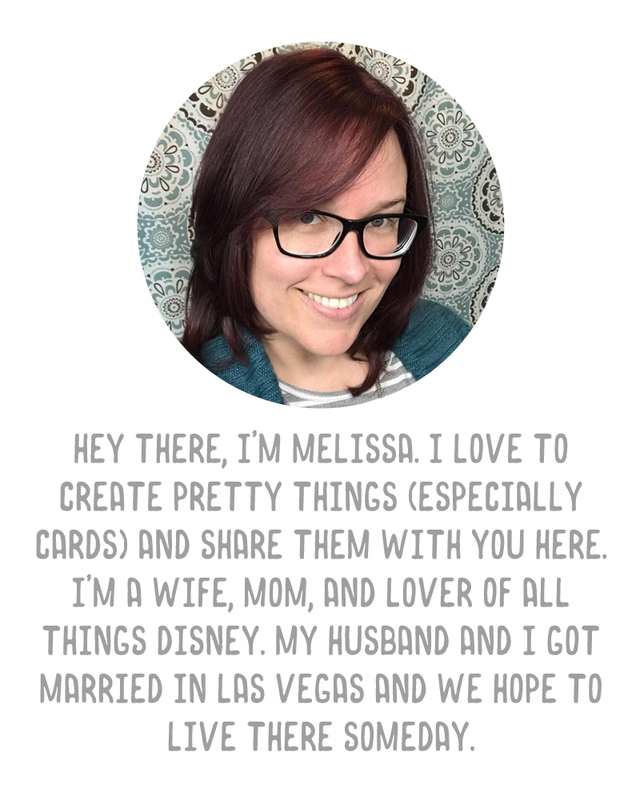 It feels really good to get back into making cards. This is something I've been craving to do, and I finally had a chance to make one up last night. This is my first gate fold card. The size is A2, so to make it I cut a sheet of card stock 8.5"x 5.5", and scored it at 2 1/8" and 6 3/8". The panels for the front are 1 7/8"x5.25". 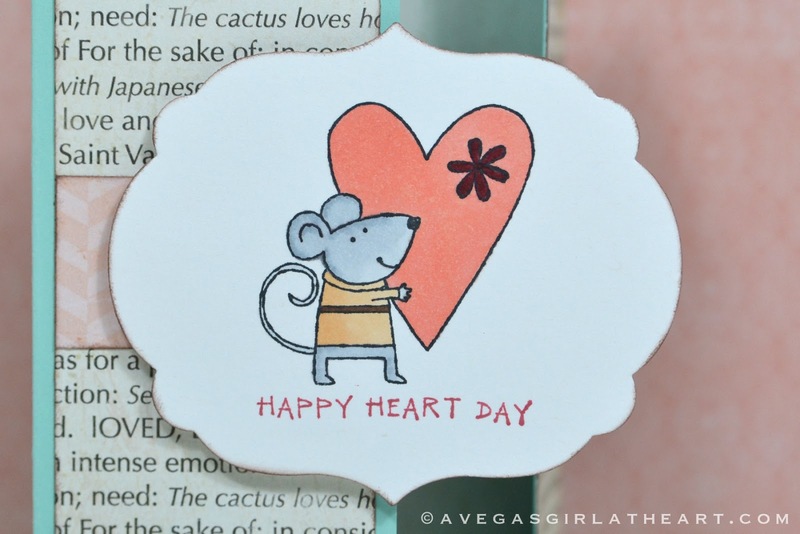 I used a stamp from the Stampin' Up! 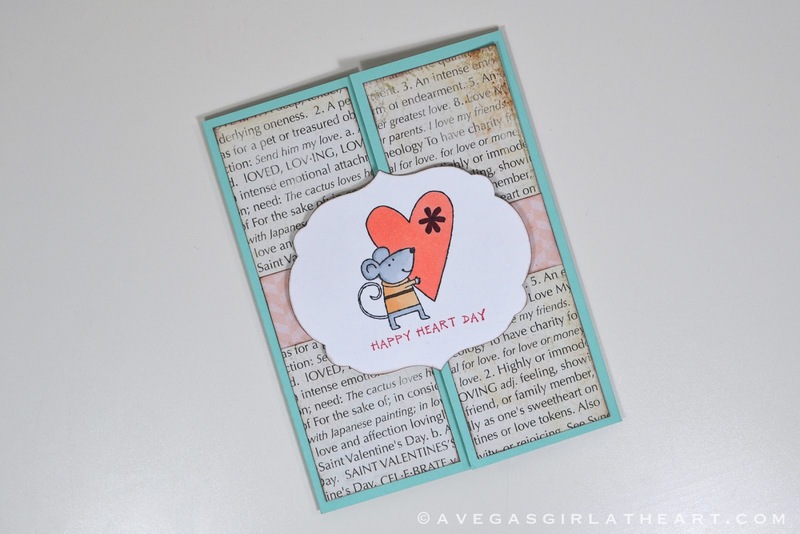 Happy Heart Day stamp set, and colored it with my Copic markers. 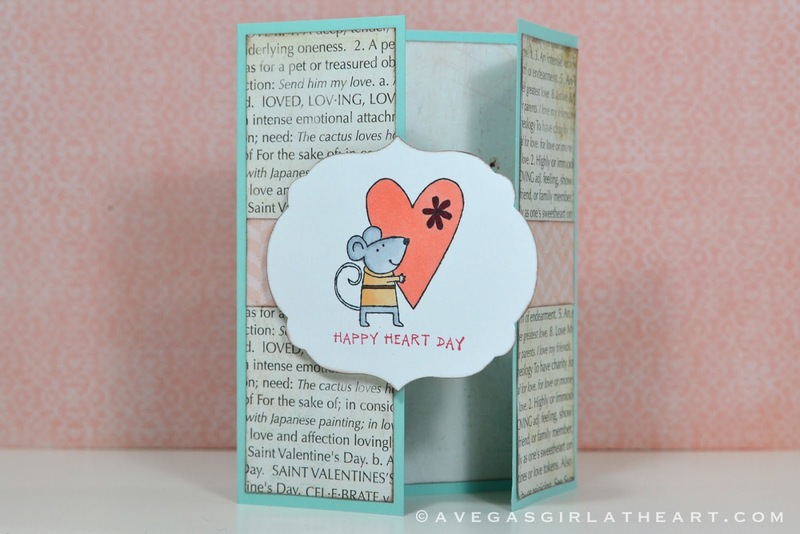 Then I die cut this out using one of the Stampin' Up! Labels Collection framelit dies. I sponged the edges of everything in dark brown, just to define them. 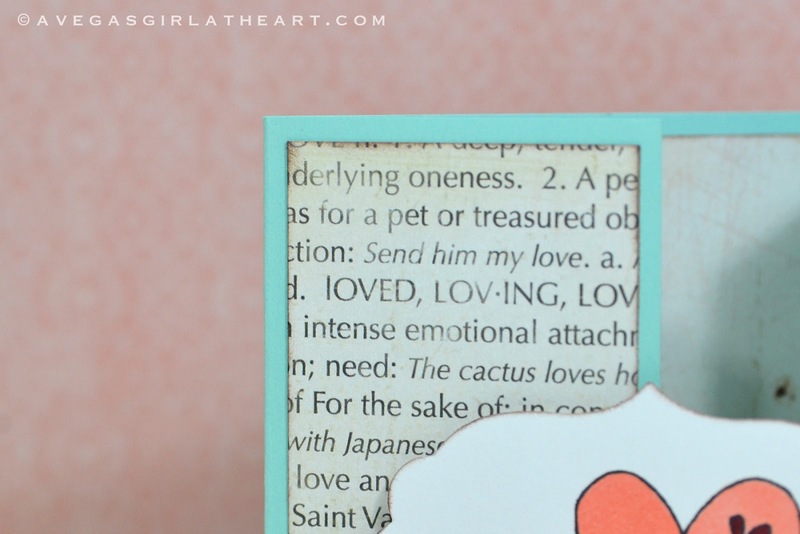 A strip of pink patterned paper across the middle and some foam pop dots finished off the card. I love the look of gate fold cards. Now that I've tried one on my own, I will definitely be making more!